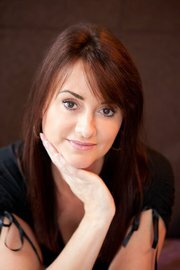 Wendy Smith is our visiting consultant at Lumia Spa, Bridge of Allan, Stirling who specialises in semi-permanent make up. Wendy is a fully qualified and highly skilled freelance Permanent Makeup Specialist. Wendy trained extensively both in Europe and in the UK, with Master Class and Advanced Technician accreditations to her name from Smudge-Free and Natural Enhancement, both internationally recognised as leaders in the field of Micropigmentation. Wendy is constantly updating her training and knowledge as she believes it is vital to keep up with the latest techniques and innovations. Using only the most sophisticated, state of the art equipment and products available, and having performed over 2000 procedures, the standard of Wendy’s work is of the best available. Fully licensed and insured to carry out treatments throughout the UK Wendy is also a member of The British Association of Beauty Therapy and Cosmetology. With the help of topical anaesthetics there is minimal discomfort. Most clients feel nothing more than a prickly sensation. It’s great time saver, you look great all day every day, and of course, it has been expertly applied. Professional or career women with little time for the daily ritual of applying make up. Women with vision problems or contact lens wearers. Those with allergies to conventional make up. Women or men with hair loss due to alopecia or chemotherapy, or who have sparse hair growth. Men who want very subtle enhancements or symmetry.